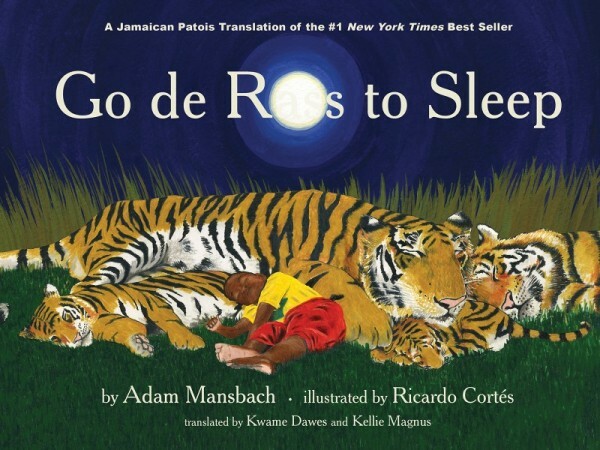 LargeUp reports that Adam Mansbach’s best-selling Go the F*** to Sleep, described as a “bedtime book for parents who live in the real world,” which has already been translated into more than 30 languages worldwide, will join a very short list of books in history (including the Bible, of course) to be translated into Jamaican Patois. Jamaican writers Kwame Dawes and Kellie Magnus did the translation, retitled in the much more printable patois title Go De Rass To Sleep (Akashic Books). And as the proverbial icing on the proverbial cake, the audio version, also released through Brooklyn publisher Akashic Books, is narrated by reggae singer Shaggy. Does it get much cooler than that? Dawes and Magnus even claim (tongue in check of course) that Go De Rass to Sleep is “far superior to the original,” not because of their work, of course, “but because this has been a given of all translations from Yankee things to Jamaican things.” To prove their point, the two cite Bunny Wailer’s “Dreamland” (a cover version of the song “My Dream Island” by the group El Tempos), Burning Spear’s version of the Grateful Dead’s “Estimated Prophet” (definitely), and “Jamaica’s hugely successful and actually better-tasting, Kentucky Fried Chicken franchises.